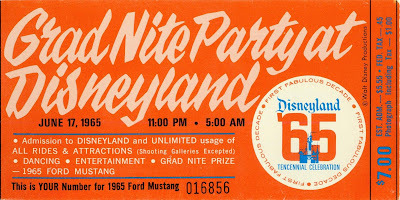 Continuing along with Disneyland’s annual Grad Nite’s, today’s post will cover two consecutive years. I’m putting the two years together because these are shameless “reruns” from last year. Hopefully you either missed these posts or have completely forgotten that you’ve seen them before. Grad Nite ’64! June 18, 1964 – 11:00pm till 5:00am. Win a 1964 Mustang, NICE!!! This ticket was used but they didn’t get the free photo! The Rules. No alcohol "any time at Disneyland”, not just on Grad Nite, who knew? In later years it also mentions no “Marijuana” (also "any time at Disneyland"). I guess it wasn’t an issue yet in 1964? 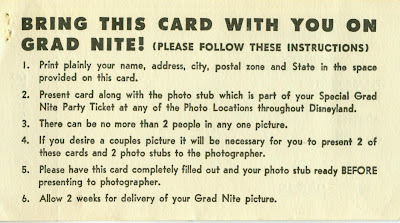 This is the card for your “Grad Nite” photo to be mail to you. 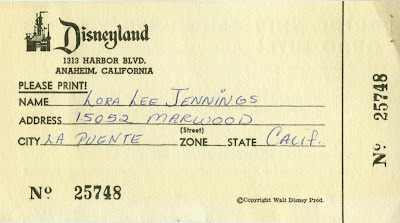 Interesting that “Lora Lee” filled it out but never turned it in, I bet there is a dramatic story in there somewhere or at least a sad song. 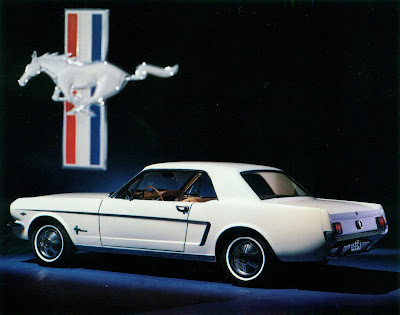 And here is what you could have won, a brand new 1964 ½ Mustang. 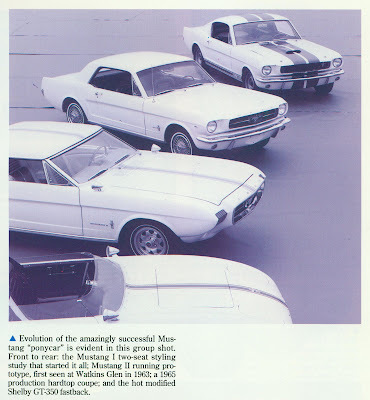 The Mustang was introduced mid-year on April 17, 1964. Ford considered it a “1965” model, but there were subtle difference between it and the “True 1965” models that were built after that first summer. Isn’t she pretty? Disneyland came up with a great logo for its ten year anniversary or “Tencennial”. Did you know “Tencennial” isn’t even a real word? At least spell check doesn’t like it and Merriam-Webster has never heard of it. I always assumed (mistake) that is was a real word, just like “supercalifragilisticexpealidous” is a real word. June 17, 1965 – 11:00pm till 5:00am. Win a 1965 Mustang! That’s a Grand prize indeed. I've heard since there were several "Grad Nites" they gave away a Mustang on each night, WOW! 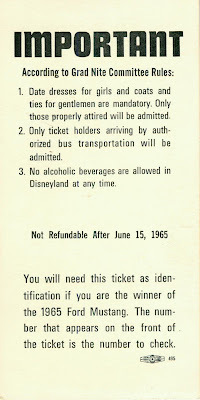 1965 has the same rules as “Grad Nite ‘64”. 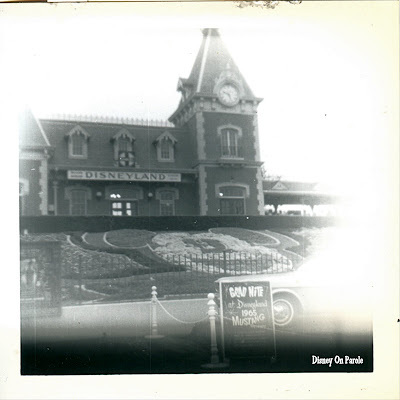 This just in from Disney on Parole (link), his brother took this photo in 1965. There's that '65 Mustang for Grad Nite!!!!! Thanks DOP! 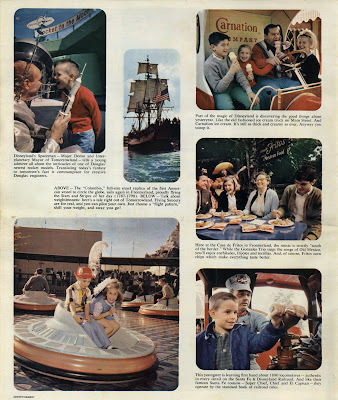 From June of 1965, a special newspaper souvenir supplement was produced for the “Tencennial”. This is a gorgeous 24 page ALL COLOR newspaper supplement. It’s held up pretty well over the years, the paper is a little yellow, but the photos still look great. 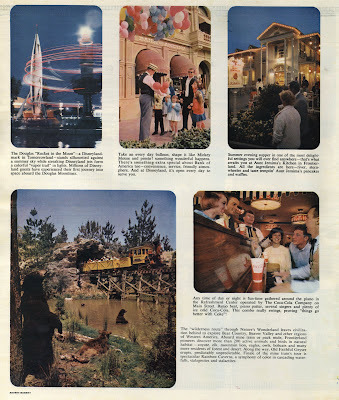 Many of these photos appear to be "new" for the '65 Celebration. As Walt says this is a "birthday card" in reverse, a thank you to us. This is really a special treat if you have not seen this, here is the entire supplement at 400 DPI. The pages are large and FULL of great color photos. It's also a big file. Here's a few pages from the 1965 Tencennial Supplement. Hey Tim- did you get my scans? Let me know. 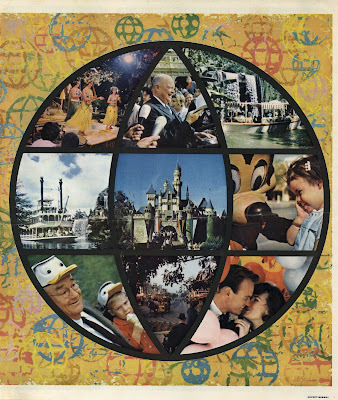 Matterhorn1959 At Yahoo dot com. I love the page where the kid is YELLING at the Space man! and the mom handing the Ice cream bill to the dad. No alcohol or marijuana, but I always brought angel dust anyway, so I'm good. 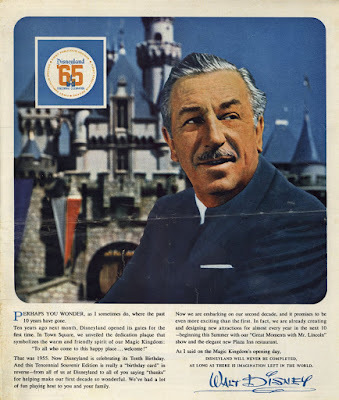 The cover photo of the Tencennial newspaper insert is interesting because you don't often see Walt Disney with gray hair... I'm pretty sure they colored his hair for many later photos.